Taco Tuesday is here again!! And look…another crispy taco!! This one, baked in the oven! Whaaaa? I try to keep a good variety going with all these tacos, not using the same protein from week-to-week, etc. And when it comes to using ground meats, substitution is usually pretty easy to do. I debated using either ground turkey or ground pork for these tacos, and went with turkey in the end. Not for any reason other than…I love me some ground turkey. And it was perfect. 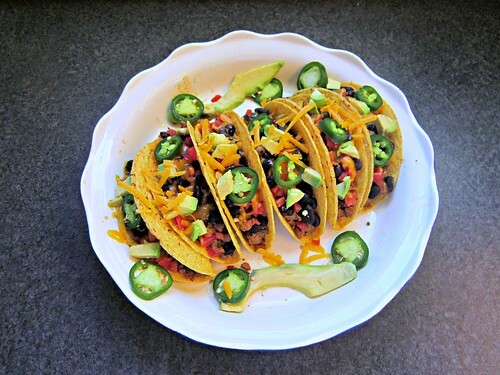 It soaked up those taco seasonings perfectly and for those who love ground beef tacos, you’ll love these just as much!! As I’ve mentioned before, one of the great things about tacos is their versatility. 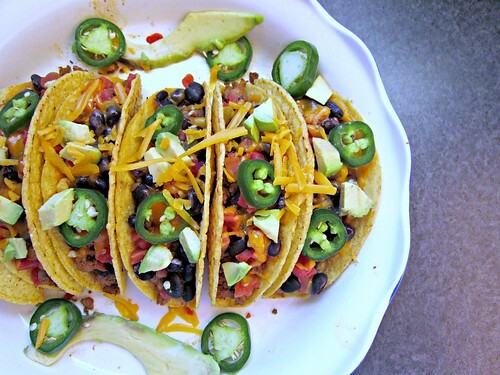 These tacos have a great filling already, but the topping options are endless. Whatever you love for tacos, you can put on top! I chose to do minimal toppings this round, but you can pile ’em on as much as you’d like. Sour cream or Greek yogurt, shredded lettuce, olives if you’re into that kinda thing, sliced radishes, etc! You get the point. I’m still really enjoying crispy tacos lately, so these hit the spot just right. J prefers them as well, lately. There’s just something about that crunch! 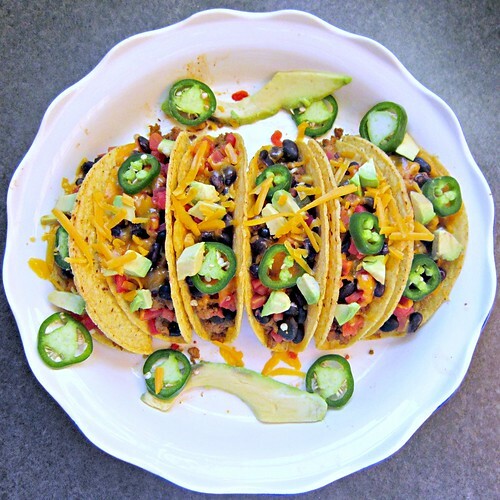 So, don’t miss out on another delicious taco…make them tonight! Combine the beans with the diced tomatoes and green chiles in a medium bowl. Once the turkey is done cooking, use a slotted spoon to fill each of your taco shells about 1/3 of the way. Top with the black bean and tomato/chile mixture, and sprinkle with cheese. 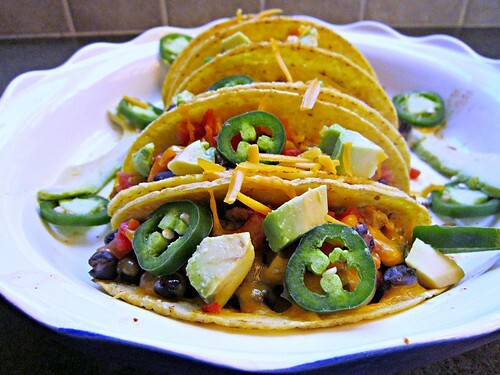 Bake for 7-10 minutes or until cheese is melted and tacos are crisp and heated through. Serve immediately with your choice of toppings!